Round table discussion with Morad Montazami (researcher-curator, moderator), Vincent Meessen, Toma Muteba Luntumbue, Yasmine Van Pee, Bambi Ceuppens, and Kathrin Langenohl. Note: this event takes place in the context of the exhibition 'Patterns for (Re)cognition' by Tshela Tendu & Vincent Meessen at Bozar (until 10/09/2017). 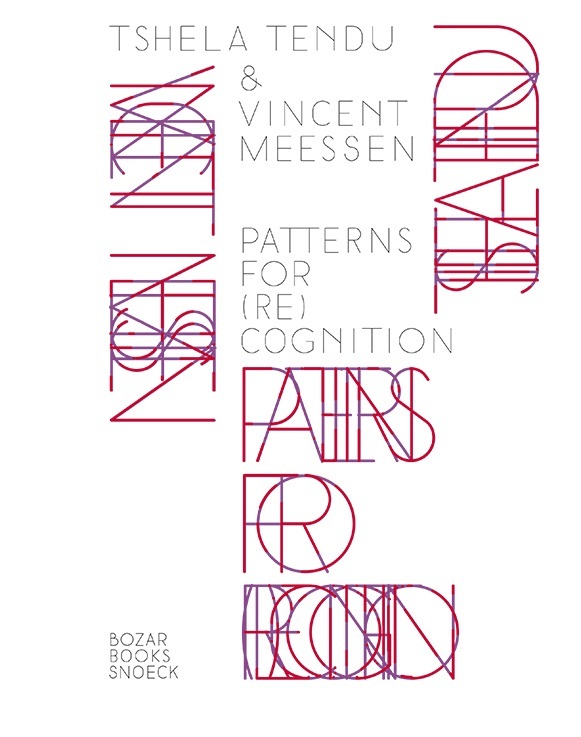 The publication documents the three editions of “Patterns for (Re)cognition”, an exhibition conceived by Vincent Meessen and built around the abstract works that the Congolese artist, Tshela tendu – better known until now under the name of Djilatendo – painted in the period between 1929 and 1932. Their presentation is discussed in a series of dialogues that Vincent Meessen conducts with the curator Elena Filipovic, the publisher Guy Jungblut, the artist Toma Muteba Luntumbue, the historian and anthropologist Jan Vansina, and the art historian Yasmine Van Pee.